Today I want to show you what I received from one of my blog's wonderful readers! 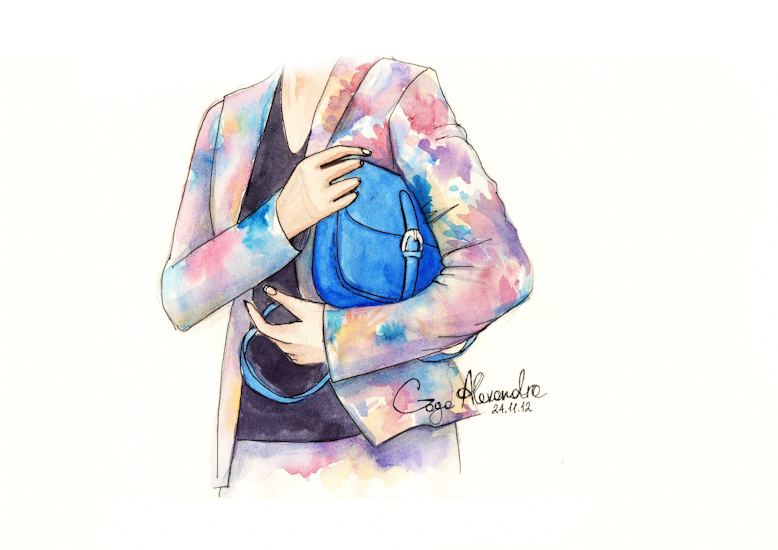 Her name is Sasha Van Goga and her blog (Fashion illustrations by Sasha van Goga) is full with wonderful fashion illustrations. 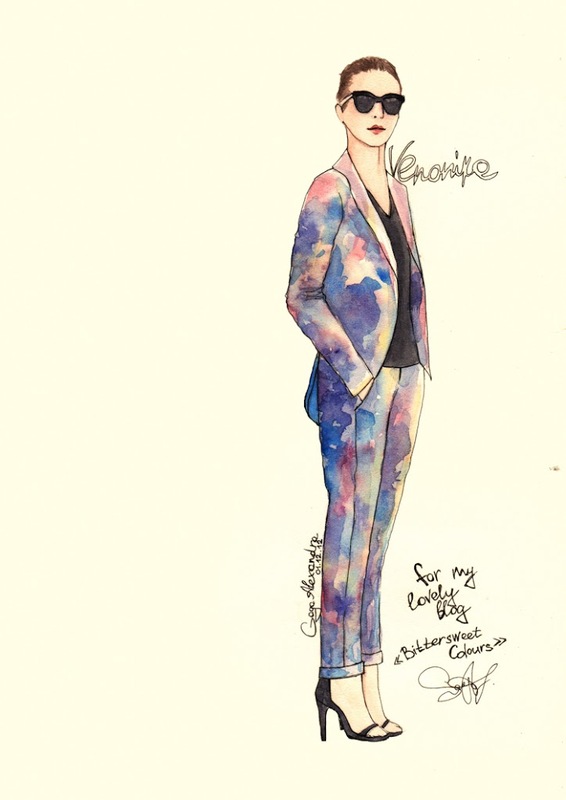 I love all these illustrations with my "Impressionism Inspired" outfit (see it here) and most of all, the fact she took time to do all these as a gift for me. I appreciate that Sasha! And thank you very much! I guess when you are asked what are the most rewarding moments as a blogger... THIS is one of them! Ohh, it’s just amazing ! great drawing, I wish I had the ability to cartoonify (if that’s a word) people on paper. i adored!! !what a great work!!! lovely drawings. I love the way she used to create the pattern of your tailleur. wow! very beautiful! like this look! great! Such great illustrations! Love the detail piece! Such beautiful illustration! I love the gentle pastel aquarel colours! 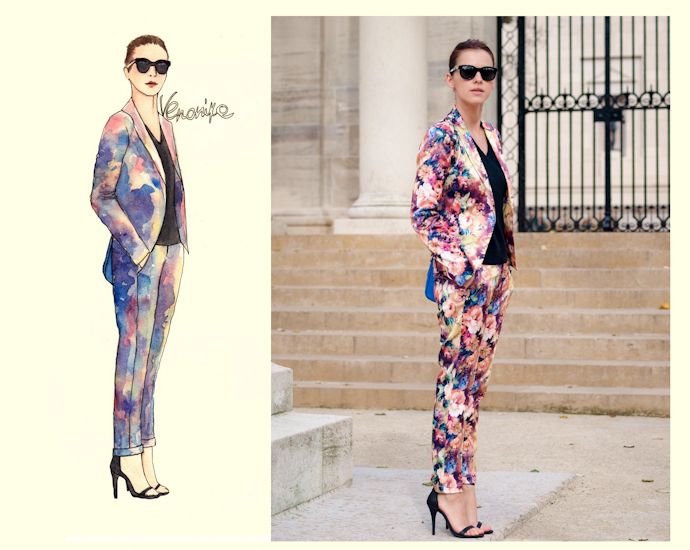 Such gorgeous illustrations; she did a wonderful job of translating the amazing print of your suit into watercolour! I just wanted to leave you a quick comment to say hi and to thank you for the constant inspiration – so glad I found you through instagram! That was a GREAT gift!!! Great work by a great artist! Remarkable art piece. 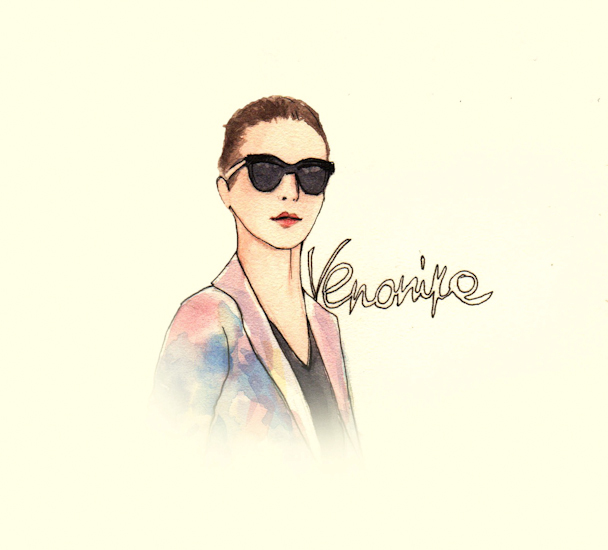 You are an inspiration my dear Veronica! I love your inspiring look! The illustrations are adorable!